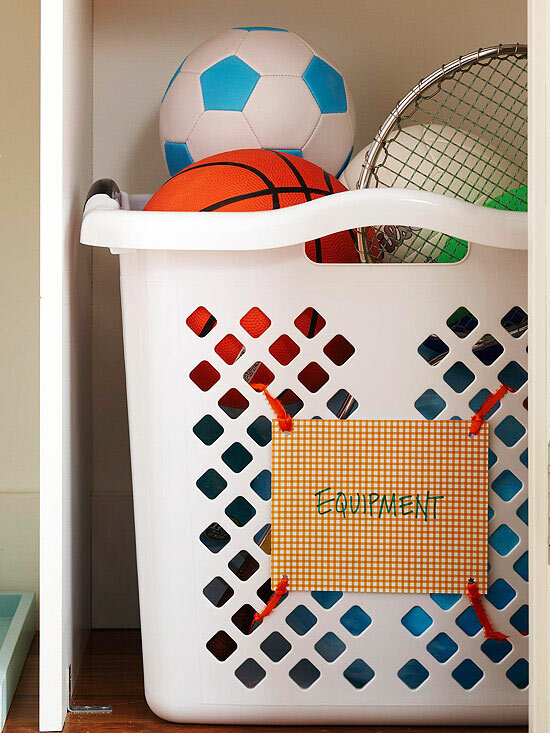 Organize and decorate at the same time with pretty baskets and boxes. 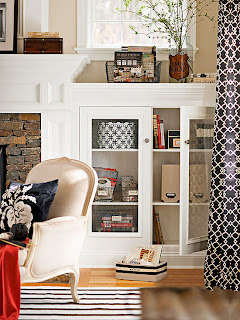 Buy items that coordinate with your decor and meet your storage needs. Turn coffee tins, soup cans, and powdered drink tubs into pretty storage containers by covering them with decorative papers. Cut the paper to size, then attach with spray adhesive or double-stick tape. 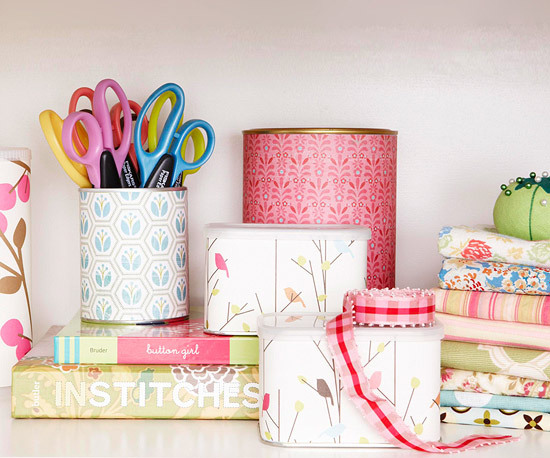 They're perfect for holding pencils, pens, scissors, and other desk or crafts supplies. 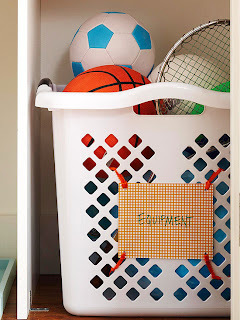 A simple laundry basket is the ideal candidate for storing bulky sports equipment. These spacious vessels are affordable and durable and can handle plenty of wear and tear. To affix a label to the basket, punch holes in the corners of the labels. Run zip ties through the holes and through the weave of the basket to attach. 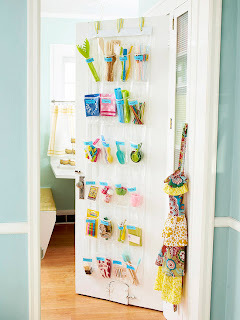 Expand your kitchen storage space with a clear plastic shoe organizer. The pockets are a perfect place to organize kitchen tools and supplies so they don't get lost in a drawer. For added elegance, add three screws to the top of the door and suspend the bag from ribbon hangers. Don't forget to label each pocket so everyone knows where to return items. Make morning routines easier (especially with children) by organizing a week's worth of outfits. 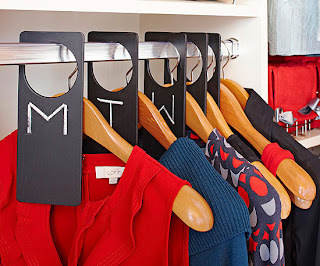 Place hanging tags on a closet bar, each marked with a day of the week. Place your planned outfits with the designated tag and you'll save time each morning when deciding what to wear. 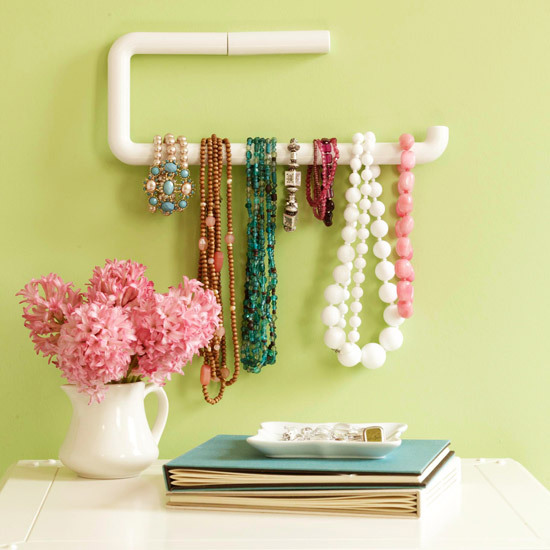 A length of PVC pipe is a hardware-store staple that can transform your dresser storage. Buy a length of pipe about 2-3 inches in diameter. Select pipe that has thinner walls, which is easier to cut and usually cheaper. Measure the height of your drawers and cut the pipe accordingly. 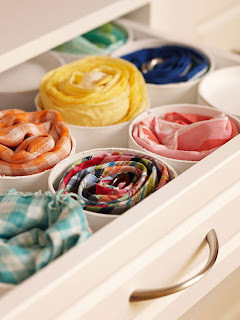 Line a drawer with the pipe pieces and place rolled up stockings, leggings, and scarves inside the pieces. Give a retired ladder a new life, and add storage space and vintage charm to any room. Simply screw vent grates in place on each rung. 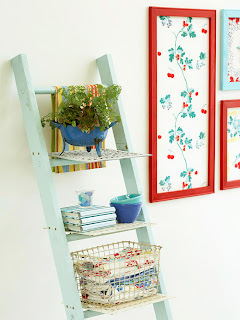 Paint the ladder a color that matches the rest of your decor. Elegantly display necklaces and bracelets on a paper towel holder. Install it on the wall above a dresser or vanity for organization that doubles as a piece of art.